To stay competitive, original equipment manufacturers (OEMs) will need to sustain momentum while developing new technology capabilities, customer offerings, and business models. Across diverse vertical industry segments, OEMs are becoming the “interpreters” and vertically skilled “translators” of digital and Internet of Things technologies in customer operations. While we strongly believe Smart Systems and IoT technologies will play a central role in OEM strategy going forward, we have also observed the challenges many OEM’s have faced learning how to integrate new technologies into their core business. OEMs will need to be better at spotting emergent trends and being able to quickly respond to new market entrants with new technologies or evolving competitive threats. What growth themes should OEMs be focused on in the coming years? While it is difficult to generalize, most OEM segments are undergoing dramatic change due to broader forces at work in the marketplace but also because of the impacts driven by digital and Internet of Things technologies. The advent of connectivity for intelligent equipment and machines is enabling asset monitoring and tracking to ensure uptime, performance, availability, software version control, and location analysis for a wide range of applications. As networks continue to invade the physical world of sensors and machines, many OEM’s have come to understand the significant value created from extracting and leveraging the machine data and usage information from their equipment. As the Industrial OEM arena evolves past the last several turbulent years, multiple forces [such as global economic expansion] are likely to contribute to positive growth in the short to moderate term. The overall health of the global economy and global gross domestic product (GDP) growth historically tie closely to growth of equipment, machines and capital equipment. For leadership teams in OEMs, identifying and understanding key forces and trends and their potential impacts on their specific product, machine or systems segment, will be critical for sustaining growth and performance in the long run. Leadership in equipment manufacturers and machine builders will face tough trade-off decisions related to new technology and innovation investments as well as rapidly evolving business and operating models. » As the economy has evolved to a more service-oriented and increasingly digital state, the importance of speed and agility as well as building new skills has increased dramatically. » Capital is increasingly available and abundant. The scale of financial assets are now roughly 8-10 times global GDP, making skills and innovation concepts far more important than capital formation and are the true constraint on an OEM’s ability to drive new growth. » Industries are consolidating into a “winner-takes-all” mode. Virtually any product or services segment likely had tens if not many tens of competitors thirty years ago. Today that number is typically 3-5 globally dominant leaders in each segment collectively earning as much as 75% or more of the profit pool. » Wall Street demands and rewards quarterly profits and short-term performance in the name of driving shareholder value. Shorter management horizons and increased pressures from investors are what drives businesses today with less emphasis on longer term investments in new growth. We would describe all of the above trends as “classic.” What we mean is the relationship of these trends to an OEM’s core product business is predictable. For OEMs to succeed in their core product businesses they will need to continue to carefully set priorities and investments to address prevailing trends in the marketplace. 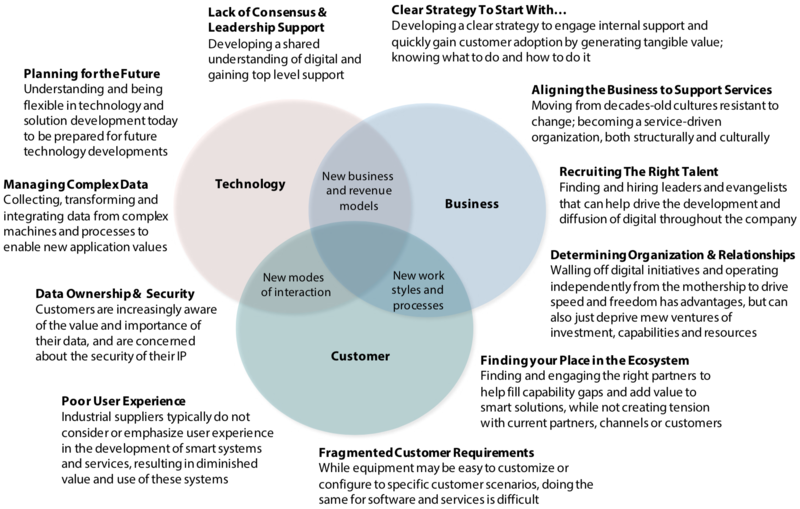 Innovation for the core business are, for the most part, sustaining, incremental and continuous. Performance measurement, repeatability, risk management, continuous improvement and financial discipline are minimum requirements to help drive a continuing cycle of improved costs and higher levels of customer support.